Sportsmanship Award - Northern Kentucky Officials Assoc. 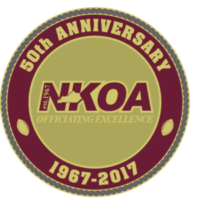 The NKOA Sportsmanship Award began in 2006 as a means of recognizing and emphasizing the importance of character and sportsmanship on the football field. The award is voted on annually at the NKOA’s Annual Meeting by all active NKOA members. Schools eligible for the award are the 28 schools with Varsity football teams that are covered by the NKOA. The award consists of a plaque and small monetary donation. Since the award began in 2006, Covington Catholic is the only school to win the award twice (2016, 2017) and two head coaches have received the award twice – Randy Borchers (Ludlow, 2006, Cooper, 2012) and Eddie Eviston (Covington Catholic, 2016 and 2017).